No Matter Who You Hire - Watch This . . .
We are having fun . . . !!! Looking for money to fall from the sky! 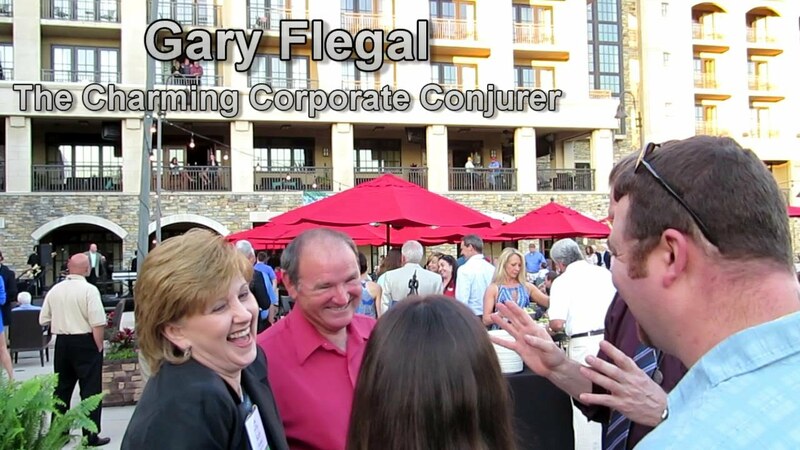 Dr. Gary Flegal, The Charming Corporate Conjurer! Your audience will laugh right out loud in sheer delight! Your crowd will be fully engaged - that is, when they're not falling off their chairs with laughter - thanks to Gary’s over 3 decades of performance experience. - Awarded 1st Place & People's Choice 2015 Winter Carnival of Magic! - Awarded Best of 2014 and 2012 By Gigmasters! - Featured in "Best of Nashville 2013" by The Nashville Scene! - Rated 5-STARS on GigSalad, Thumbtack, & GigMasters! - Voted Best Entertainer of the Year by the readers of Nashville's Parent Magazine! He has been called "charismatic, professional, and truly dynamic," "the best we ever had," and "a masterpiece." We were a bit disappointed that Gary was a bit inflexible when it came to dealing with senior citizens. We are a healthcare center for seniors with a large population in wheelchairs and dealing with other senior issues. He seemed insensitive to some of their issues and our requests for him to accommodate them. Michelle - just read your review and was very disappointed - you are definitely entitled to your opinion, but it seems we must have both attended very different events that day. The set up for the event was in your beautiful and huge outdoor garden and your staff lined the residents around the outside edge of the center garden - many of them too far away from the performance area to actually see the program. Because of my performing experience, I suggested that the residents who were far away be moved closer so they would be able to see and hear. I appreciate the staff for following my suggestion to enhance the quality of the experience for your residents. The residents were very involved in the show and responded enthusiastically, many of them and the staff talking with me afterwards about how much they enjoyed the show. In addition, several residents arrived late and missed the show and I spent some time performing individually for them so they could be part of the fun. I completely enjoyed my time with you and your residents at Adams Place Assisted Living Community in Murfreesboro, TN and working with the wonderful people there. Professional the entire time, he listens and is very easy to talk to. The kids loved the show, the adults loved the show. Would recommend the package with animals. Not only is Dr. Flegal a fantastic magician, he's also runs his business with the utmost professionalism. I'd recommend him for any event; expect to be amazed! Gary was a lot of fun; great card tricks. Mr. Flegal was the life of my daughters' 6th birthday party! Both the children as well as the adults had a blast and were kept well entertained throughout the entire show. Mr. Fleck actually arrived at the venue before we did to canvas the room in order to provide maximum show time to all of my guest. We will use him again an highly recommend his services! I Loved the show and i know the kids did too. There favorite part was the live animals in the show. Gary Flegal & The Magic of Smiles provided a fantastic show for our children in the Lebanon Special School Dist. Camp Sacawanna. We have children from Pre-K to 8th grade. They all loved the show and were amazed at everything he did. The children especially had fun when he came out into the audience and starting "pulling" coins from their heads and ears :-) He even got one of their teachers involved. Do not hesitate to have Gary come and do a show for your event. He is prompt and very professional! Kids and adults LOVED the magic show. I have had the opportunity to enjoy Dr. Gary Flegal's incredible "Magic of Smiles" performance in a wide variety of venues. He maintains the highest level of professionalism and expertise whether performing for an intimate children's birthday celebration, in an educational setting, as a stage show, in a church, or for a business corporation event. In addition to his proficient craft of magic, Dr. Flegal's instinctive rapport with any audience guarantees a thrilling experience to be had by all. Without hesitation, I recommend Dr. Flegal's "The Magic of Smiles" for your memorable event. Amazing magician!!!! Gary Flegal is the best!!!! Look no further for an AMAZING magician!!!! Gary Flegal is "the guy" for your next children OR adult event! This was our second children's MAGIC party with Gary. The first one was for our son's 9th birthday, and two years later, we hired Gary again for our 6 year old's party! Both events were so memorable and we have Gary to thank for that! 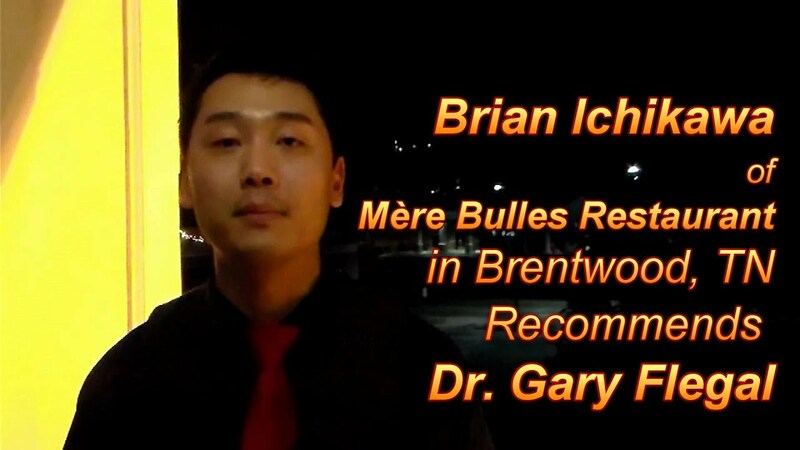 Gary is professional, organized, prompt, friendly, great with kids of all ages, and is very enjoyable to work with. Compared with other magicians, his prices are reasonable, and he always calls to check in prior to the party to talk about last minute details and to answer any questions. His magic shows were filled with excitement, awesome tricks, music, audience volunteers, and live animals! He makes the birthday child feel extremely special! The kids and adults were all fascinated by his tricks and always full of smiles! They could hardly believe it when a table went floating up in the air above their heads! How cool!!!! Even the grown-ups were amazed by his talent! Both my son's friends are STILL talking about the parties!!!! 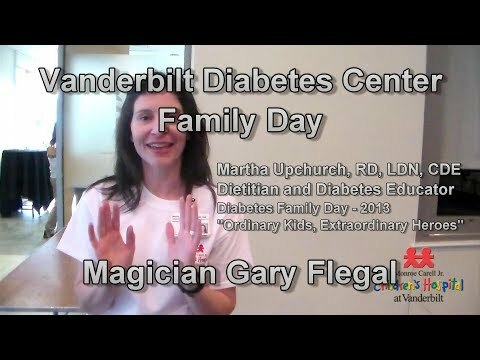 Gary filled these children's hearts with a love for magic! Yes, it's so easy to just book a party like everyone else at some "place" such as a "Bounce" place...but if you are looking for a truly unique way to make your next party a special one, go with Gary Flegal - he will make your child's special day truly MAGICAL! He did for us...TWICE! Dr. Flegal was a breath of fresh air! His magician skills had the audience roaring with laughter as they secretly diminished their morning stress. His stress relieving tips were useful; and the message as a whole left attendees with helpful hints they can use in their personal and corporate lives to make themselves more productful and less frazzled. He was a pleasure to work with from a professional standpoint and is someone that our city officials would love to see revisit our community in the near future to spread more helpful messages! Price Range: $750 and up. Expect the Highest Level of Customer Service. Performing is my full-time career, and my calling in life. I am prepared to do everything possible to make you as happy as is humanly possible - this is the secret to my success in the magic service business. When you confirm my booking, you'll find out why I was voted Entertainer of the Year by the readers of Nashville's Parent Magazine. I'm extremely honored to play every event I do. Performing is a privilege which I do not take lightly. I do not take breaks and will spend the entire time entertaining you and your guests. I will arrive at the venue early, stay as late as you want, and provide you with 100% Service Excellence from start to finish! The show includes classic sleight of hand magic, live animals, Mentalism - even a floating table - and audience participation all rolled into a fun package guaranteed to put a smile on the face of everyone there - which is why it's called "The Magic Of Smiles with Gary Flegal." ... "Gary is a master of his craft. His show is designed for all ages. He deviates from the standard fare of magic tricks, and performs effects that have taken him decades to perfect. He always involves the audience, and if requested has a special effect for the guest of honor. Unlike a number of magicians, he always treats his assistants with a level of respect unparalleled in the field. No one has ever been embarrassed on stage with him, and everyone leaves his show with a smile on their face." - Your audience will laugh right out loud in sheer delight! - Your crowd will be fully engaged - that is, when they're not falling off their chairs with laughter - thanks to Gary's over 3 decades of performance experience. - Imagine everyone having the time of their lives! - No worries! Whichever show you choose, Dr. Flegal makes your job easy and makes you look great! Call Dr. Flegal. You will be glad you did. Your audience will Thank You for hiring Gary Flegal. Guaranteed Exciting Positive Results for Your Event! Clients have called Gary "charismatic, professional, and truly dynamic," "the best we ever had," "a rare find in today's sophisticated world," and "a masterpiece." - "Gary Flegal is an exceptional entertainer. Yes, he's a truly! truly! amazing magician. He's also a highly creative and dynamic performer who knows how to entertain his audience - young and old. And he's a consummate professional who is totally committed to the success of your event. But Gary Flegal also has the very rare gift of charisma, that certain something that totally engages you and makes it impossible for you to take your eyes off of him. In a word, Gary is charming and he's a sheer delight to watch. His audience simply *must* have fun because Gary is having so much fun! His infectious smile and sense of wonder captivates the most jaded onlooker. "Very few entertainers of any sort - and even fewer magicians - have Gary's almost-magical ability to so completely win over his audience. Gary's audience eagerly joins him for a wild and whimsical journey where they become part of the show, a magical adventure full of awe-inspiring mystery and uncontrollable laughter. "Gary Flegal is a treasure - he's unique. 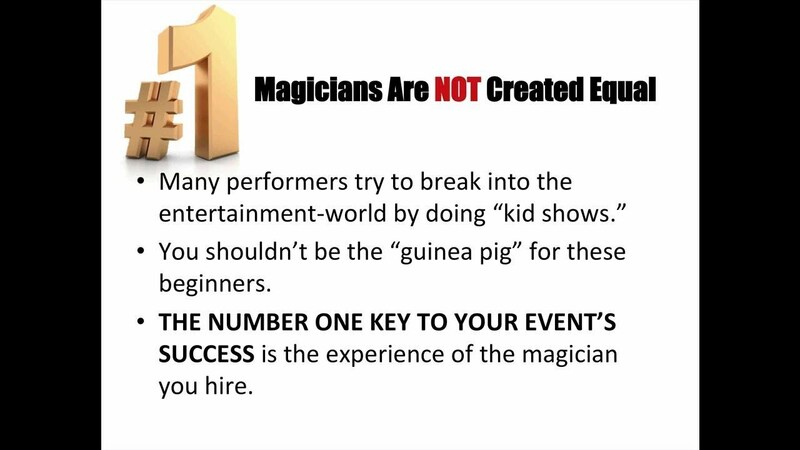 Anyone can hire a magician - most are about the same - or you can treat your audience to the one-of-a-kind entertainment experience that is Gary Flegal. Choose wisely and your audience will thank you - and I guarantee you they'll never forget their time with Gary Flegal." ~ Nelson Griswold, author of the book "Do or Die"
- "Gary is a fantastic magician with a terrific blend of passion, knowledge and expertise of magic. He is a consummate professional who can be depended on to provide a very entertaining show that is targeted at the audience. I recommend him to anyone who is looking for great entertainment for their event." - "Outstanding!! Booked for our Lions Club Convention and couldn't have been happier. Nothing but positive reviews from everyone who attended the convention as well as a standing ovation. Everybody left with the same question 'How did he do that?' Great Magician!!!" - "Not only is Dr. Flegal's magic act of superior quality but as an overall package, the entertainment value is beyond belief. I highly recommend him as entertainment for any venue." Gary is a masterful entertainer! Gary provides each audience member with an experience they will enjoy and talk about for a long time to come. One of the most dynamic, visual, and delightful shows in magic, complete with amazing sleight of hand, beautiful illusions, and captivating stories. Your audience will thank you for inviting him! 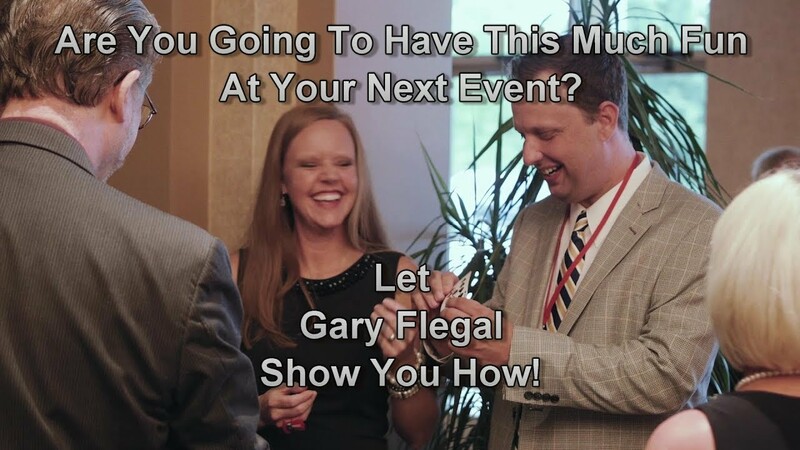 Invite Gary Flegal to your next event! *Full Group Entertainment - Totally Engaging Engaging Audience Participation makes your people the Stars Of The Show, filled with Visually Stunning Magic, Mind-Reading, and Laugh Right Out Loud Humor. Everyone will be talking about Gary's performance for months afterwards. *Strolling Entertainment - Your crowd will be amazed at Close-up Magic that happens Right In The Spectators' Hands. Perfect for welcoming events and cocktail hours, this style of magic creates a perfect atmosphere where your audience is completely involved and having fun. *Customized Programming - Customizing Your Message is Gary's Stock-In-Trade. Share your ideas and Gary will customize the show around your themes, company logos and products, etc. to deliver a specific message to your audience in a very magical way. Start to finish, I am here to realize every aspect of Your Vision for Your Event! I have performed for thousands of audiences and I would like to perform for you! Thanks so much for your consideration. Let's talk soon to see how I can help make your event the success you want it to be! Dr. Gary Flegal makes your event planning easy by taking care of all the details for your entertainment so you can focus entirely on your guests. The only thing you provide is an electrical outlet - what could be easier! The show includes Old Favorites like . . .
~ It's Really Mind Reading . . . Right? And some New Favorites . . .
Dr. Flegal's style of performance is greatly influenced by Red Skelton, Mark Wilson, Doug Henning, and Houdini. He was also highly influenced by his Grandfather, Charles Judson Flegal who was a musician during the Big Band Era. Charles played violin.